These cutting-edge suites designed by GRAPH encapsulate New York City. Sinuous white walls with custom millwork, create an illusionary 3D effect that frame the room’s custom furnishings. 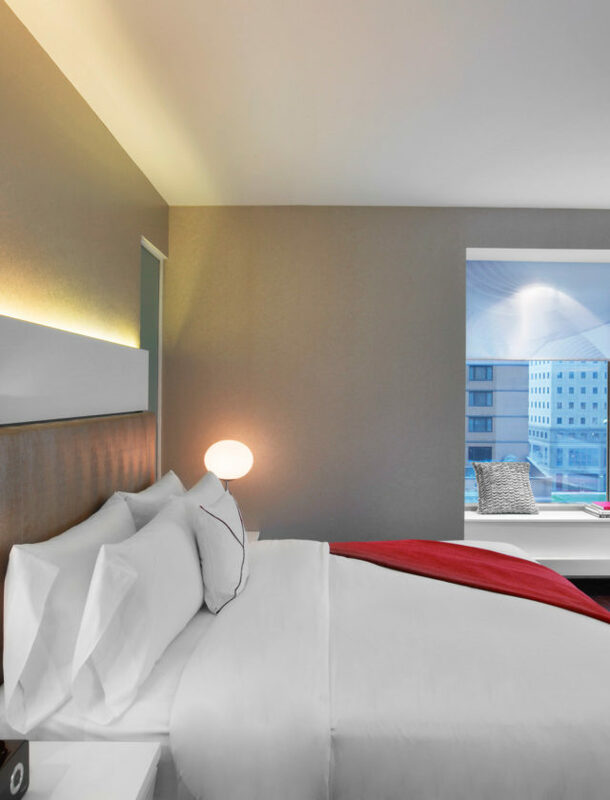 Soak up panoramic Manhattan views from the plush, multi-colored sofa and vibrant windowsill seats. Indulge with friends in delectable MixBar snacks or mixed drinks concocted from the marble-topped wet bar at the four-guest dining table or small cocktail table with custom Philippe Starck chairs. 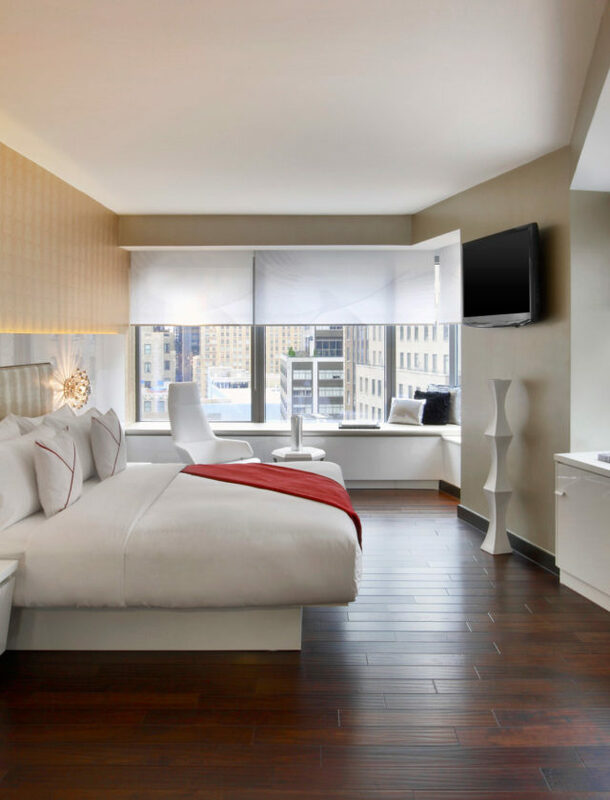 Escape the city’s electric hustle and bustle in the bedroom featuring a King W signature bed, oversized work desk with high speed Internet access, and second 42-inch LCD TV. 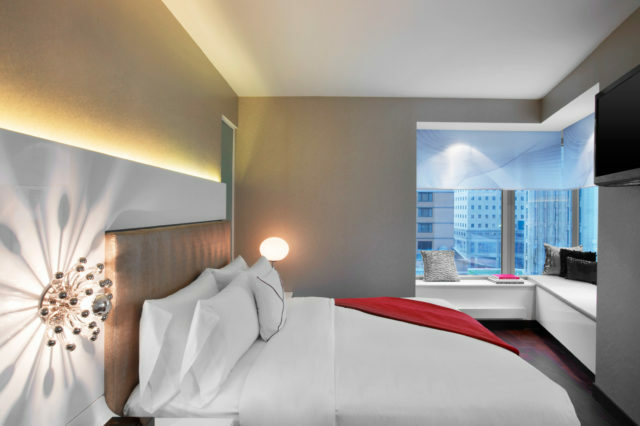 Experience the deepest slumber in 350-thread-count Egyptian cotton sheets, a goose-down duvet and plump pillows. Contemporary luxury continues in the bathroom, where an avant-garde spectrum of lights, mirrors and reflective snakeskin tiles expose a walk-in rainforest shower. 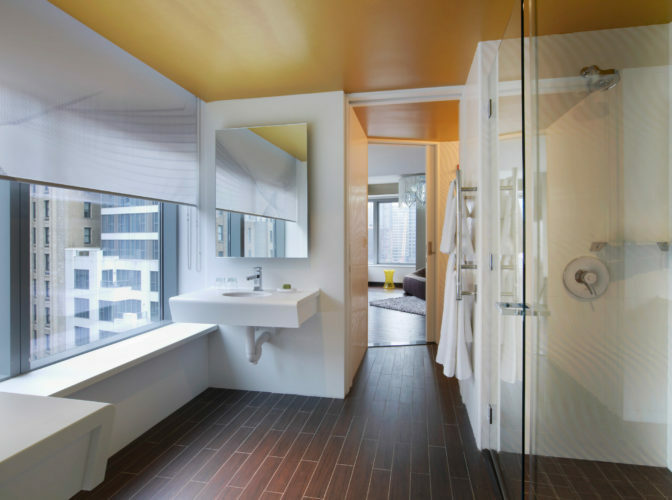 Complete with a peek-a-boo frosted glass wall, Bliss® Spa lemon + Sage sink side bath amenities and soft terry robes; this bathroom is your ultimate New York City respite. This sleek space designed by GRAFT provides glamorous views of downtown New York and the Freedom Tower through expansive living room windows. 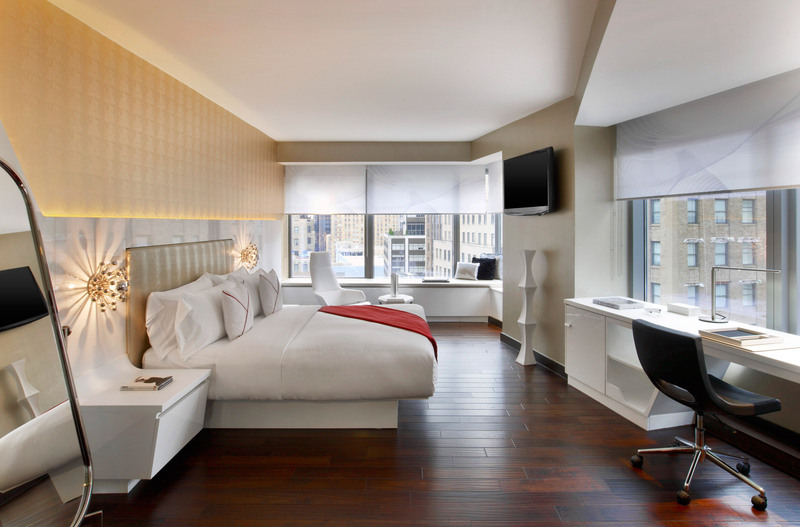 Revel in our most luxe suites, tucked away on the 12th or 14th floor. These cutting-edge suites designed by GRAPH encapsulate New York City.